Bandai Namco just turned it up a Notch!!! Tekken 7 will see seven completely new fighters, upping the ante on previous Tekken games! 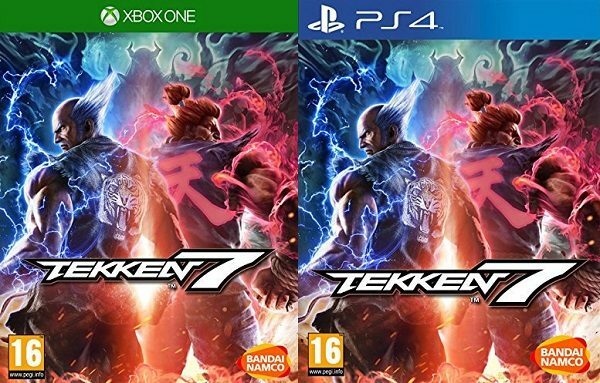 Namco says Tekken 7, which will be coming to PS4 and XBox in the next 100 days on Friday June 2 2017 will mark the end of the Mishima Saga. The franchise has been spinning this spiel for the past 20 years. So let’s count ’em down, Tekken Fans!! Kazumi, the thought-to-be-dead wife of Heihachi and mother of Kazuya Mishima is back. Shaheen, a bodyguard in a private Saudi Arabian military, is in. So too is Filipino kickboxer Josie, the mutant Gigas and “supernatural exorcist” Claudio. Oh did I really forget J-Pop Idol worshiping Lucky Chloe? Really…..Inna real life Tekken-istas!!! Well Surprise!!! Street Fighter’s Akuma is in the mix too and he’s got a score to settle with Mishimas, rounding out the Lucky 7. Bandai Namco had to give us more though; Master Raven, a graphic upgrade of Raven. Tekken 7 makes wanna dust off my old Street Fighter Video Games and give them a second spin, for ol’ times sake!!! !